These two infographics covered the same topic. 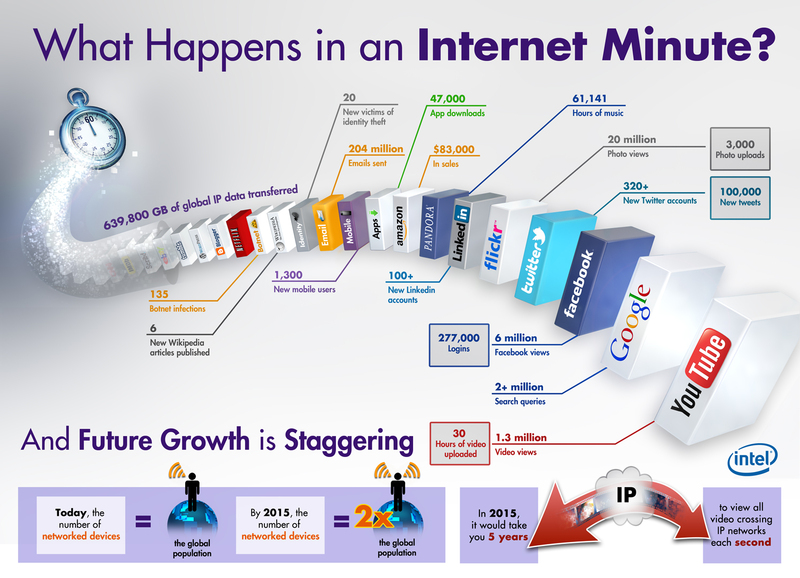 What all happens in one minute on the Internet? 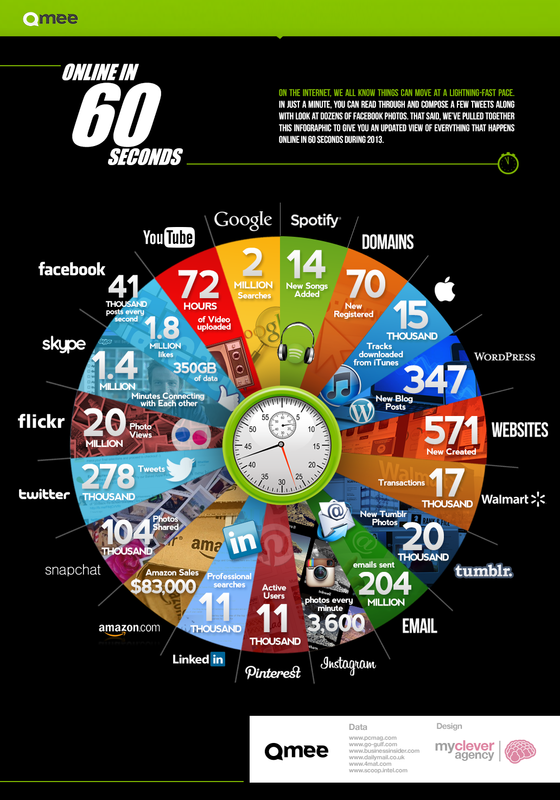 With billions of people able to access a site at once, what occurs in just your typical 60 seconds? There are over 2 million Google searches, Amazon makes over $83,000 in sales, and 277,000 people log in to Facebook. Much more happens as well, check out the infographics for other sites and the incredible numbers that could crash any site without significant infrastructure.